You’ve struggled with your weight for as long as you can remember. The yo-yo dieting, the diet pills, the supplemental drinks, and fitness fads have failed you. If you make any progress at all with your weight, you always gain it back again. You’re at a point when you are feeling hopeless. Don’t give up. This is the year that you can make your weight loss resolution come true. With bariatric surgery and the support of medical professionals, you can make 2016 a bright year. Thanks to innovations and advances in technology, you have many options when it comes to bariatric surgery. Here are a couple. The lap band is a procedure that is a minimally invasive option when considering a surgical alternative to lose weight. The lap band is preferable for many patients because it does not involve a permanent alteration of your stomach. In this less extreme procedure, a lap band that is made from silicone is placed over the upper portion of your stomach. This band can be inflated more or less according to your needs. The main goal is decrease the amount of food you eat while curbing your appetite at the same time. You can also opt for the traditional alternative known as gastric bypass surgery. During this procedure, a small part of the stomach is sectioned off as a pouch and connected to the small intestine. The majority of the stomach is no longer a part of the intestinal tract. A smaller amount of food can be consumed, restricting calorie intake. The gastric sleeve is another, more involved procedure in which a surgeon alters the stomach, creating a narrow sleeve. The remainder of the stomach is actually removed. Patients will have less of an appetite and eat less. It is your choice when considering a bariatric procedure. It’s your body and you need to be comfortable with your decision. Our caring medical staff will help you to keep your weight loss resolution. Bariatric surgery offers you a host of benefits, especially if your are significantly overweight. Not only will you improve your self-image and feel better about yourself, you will physically feel better. Stick with your weight loss resolution now and you are taking a step toward a happier, healthier future. When you shed excess weight in a safe manner and keep it off, you can stave off serious, medical conditions such as diabetes, cancer, stroke, heart disease, and high blood pressure. Permanent weight loss gives you the opportunity to have an active lifestyle and do things that you truly enjoy. You may find yourself trying new things and opening the door to opportunities. Most importantly, you will have the gift of more time with your loved ones. Consider bariatric surgery as part of your weight loss resolution when all other measures have failed. While you are choosing a more extreme solution, weight loss surgery proves that you are willing to make a promise to yourself. You’ll have a medical team of professionals that wants to see you succeed. You will no longer be alone on the journey as your doctor and other staff members monitor your progress and provide you with recommendations to help you be successful. Bariatric surgery will give results. As you see the pounds slip away, you’ll find that you feel better and have more energy. With a boost in spirits and more get-up-and-go, you’ll be motivated to keep at it until you finally cross the finish line for your weight loss goals. New Year’s resolutions are hard to keep, especially when they involve weight loss. With bariatric surgery, you can set a realistic goal for a time frame to reach your ideal weight. Over time, with the help of staff and other individuals who are on a similar path, you’ll finally get there. 2016 is practically here. As you watch the ball drop and toast loved ones, say farewell to the old year. Make a conscious decision to say goodbye to your extra pounds too. 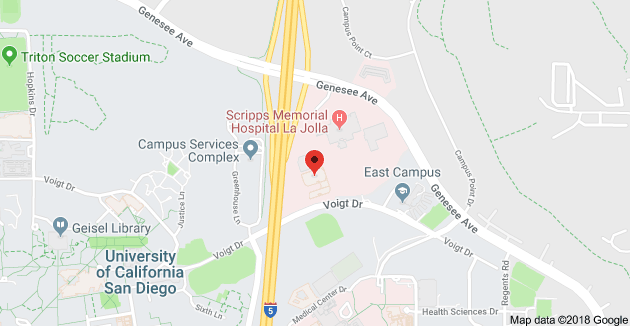 Call Olde Del Mar Surgical at 858-457-4917 or contact us online and set up your consultation to begin your journey into bariatric surgery in the months ahead. It all begins when you pick up the phone. 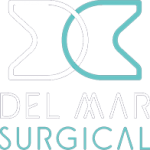 With the talented staff at Olde Del Mar Surgical, you can make a weight loss resolution for 2016 and keep it. Watch for next week’s blog post about getting started on your weight loss journey with our online seminar.